Sony has a couple of new cameras it revealed today, including the RX-100 IV and the RX-10 II. The new compact cameras offer powerful sensors in small packages, continuing Sony’s long tradition of shaking up the consumer and prosumer photography categories. New to the cameras is a special sensor, the “first stacked 1.0 type CMOS sensor with a DRAM chip,” according to Sony, which should translate to very fast performance, and which enable amazing slow-motion video capture, as well as 4K video capture. The RX100 has long been a technical standout in the consumer camera industry – it was the first pocketable camera to offer a full 1-inch sensor for low-noise, high quality image capture. This fourth-generation RX100 is again pocketable, and boasts a super bright F1.8 to F2.8 aperture lens, with a 24-70mm zoom range when translate to 35mm analog equivalent. The RX10 II is a little beefier, but no more so than its predecessor, an includes a 24-200 zoo lens for extended reach. Both cameras have fixed lenses, which means you can’t swap out the glass, but they’re designed to be single-serve flexible options for people who don’t want the hassle of a multi-lens system. The digital finder on the back is now the XGA OLED Tru-Finder variant new from Sony, which offers high contrast and more true-to-life color rendering. They also have a new faster intelligent autofocus system, which Sony says can lock on to a subject in as little as 0.09 seconds. Both also have built-in NFC and Wi-Fi. 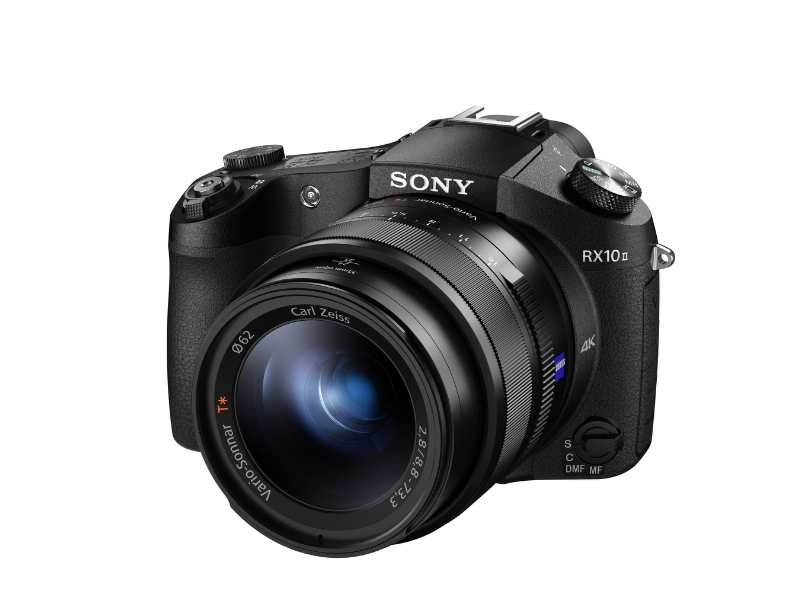 Pre-order sales for both start on June 17, with pricing starting at “about” $1,000 for the RX-100 IV, and $1,300 for the RX-10 II. Actual shipping dates haven’t yet been announced by the company. Sony continues to push the limits when it comes to consumer dedicated cameras, and these look like they could be ideal travel/work cameras for a wide group of users. Those price tags aren’t cheap, but this new sensor tech might offer enough advantages, including 4K recording (though with 29 and 5 minute max recording length for the RX-10 II and RX-100 IV respectively), and super slow mo video that can capture footage at an astounding 960fps, 480fps or 240fps (the current maximum slowdown possible on the iPhone 6, for reference). Arguably, the dedicated camera market is a dwindling field – but these look like market leaders for the niche that remains.